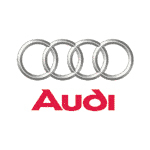 Audi automobiles are one of the luxury line of vehicles produced by Volkswagen (we have remote key fob programming instructions for many Volkswagen models as well). Ducati motorcycles and Lamborghini supercars are also designed and manufactured under the management structure of Audi. Most audi models have key fobs and we have keyless entry programming instructions for most of them.